Remember the station wagon? That long, unwieldly car with exterior faux wood paneling and a row of rear-facing seats in the trunk that forced kids and other drivers to have awkward staring contests? By the turn of the century, 1.5 million minivans dotted suburban cul-de-sacs and K-Mart parking lots. But today only a third of that total take a slow ride in the right lane or double as the first aid station and snack bar for the summer soccer league. In fact, as of this article’s publication, the Chrysler Town & Country is the only American-manufactured minivan remaining. 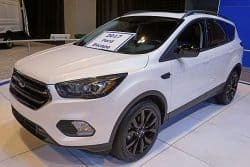 That said, there are still hundreds of thousands of families who wrestle with the decision of whether to purchase a minivan or SUV, which has chewed up the biggest part of the minivan’s missing market share. 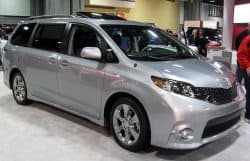 So which is right for you – minivan or SVU – and how do performance, safety, budget and size all factor into the decision? The typical minivan and SUV stack up much differently today than they did just a few decades ago. 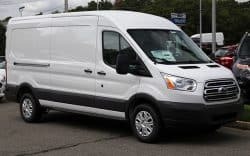 While SUVs have become safer, roomier and more user-friendly, minivans boast sleeker exteriors, higher performance, and less “minivan-ness.” Case in point: Ford goes out of its way to not call its Transit Connect, which looks and acts like a minivan, a minivan. 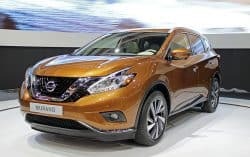 The SUV’s evolution, which was done in large part to draw the female driver, actually spawned entire new classes of vehicles, such as the popular crossover. 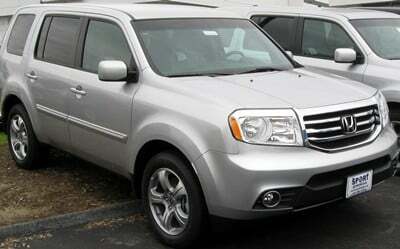 These small, feature-packed SUVs are marketed for their safety, convenience, and reliability. Minivan vs SUV- Which to Choose? 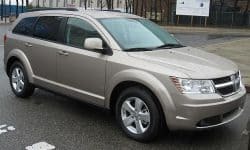 In order to better break down the differences between minivans and SUVs, let’s focus in on the 2015 Honda Odyssey minivan and Pilot SUV, two of the more popular models of each vehicle class. While SUVs have become more judicious in their use of space, they still generally fall short of the cargo space and legroom provided by minivans. For example, the ‘15 Odyssey packs in 20 cubic feet of space more behind its third row than the Pilot. This difference balloons to more than 60 cubic feet when you remove all rear seats from the equation – and the vehicles. The question shouldn’t just be how much space is available, but rather, how much speed do you need? Otherwise, you could make a major purchase based on some spare cubic feet you’ll never use. The sticker prices for the most basic model of 2015 Honda Odyssey and Pilot, the LX, are only about $1,000 apart. And if you guessed that the minivan was more expensive, then you guessed wrong. The Pilot just tips the Odyssey on horsepower, at 250HP vs. 248HP. The Odyssey returns the favor with fuel efficiency, earning 19 city / 28 highway mpg when compared to the Pilot’s 18 / 25 mpg. Ever stop in the middle of wrestling a sliding minivan door and wonder why it’s there? Watch a kid open an SUV in a cramped parking lot – and you’ll see more paint get traded than during the final stretch of the Daytona 500 running three wide. That’s the moment that sliding doors all make sense. When it comes to safety, the Odyssey earned a 5-star NHTSA rating, while the Pilot received 4 stars. Both minivans and SUVs come with their share of myths, stigmas and baggage. 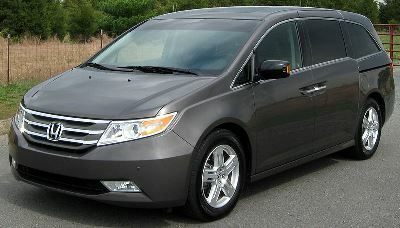 The minivan was the vehicle of choice for soccer moms and suburban dads to schlep around the kids. They offer a bland, sterile driving experience. The SUV was a gas-guzzling, dangerous insurance nightmare. 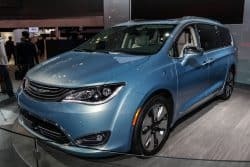 There were some nuggets of truth in some of these characterizations, but today’s minivans glide around tight corners and offer plenty of giddy-up when acceleration is needed. Likewise, SUVs are less extreme and more practical. Are SUVs or Minivans the Best Family Cars? How much room do you really need? Minivans will provide more leg and storage room. But SUVs are designed with space in mind like never before. It’s a question of how many people you’re driving, how big they are, and how much stuff they’re bringing. Are you venturing on any treacherous adventures? The handling and overall driving performance of minivans has greatly improved over the years, but they still pale in comparison to SUVs. If camping or ski trips require some off-roading, be sure to bring some shovels if you go with the minivan. Just in case. How important is internal mobility – the ability for the non-driving parent to move around within the vehicle? The minivan has this, an SUV does not. Cost isn’t the concern it once was. Minivan and comparable SUV prices are in the same ballpark, and while SUV insurance premiums used to be sky high, manufactures’ refocus on vehicle safety has dramatically lowered car insurance rates. That said, we always recommend comparison shopping to maximize your savings on your auto insurance. You can get multiple auto insurance quotes for free, right here on Compare.com. Buying a new car isn’t easy. Make sure to get all the facts before you make a decision. 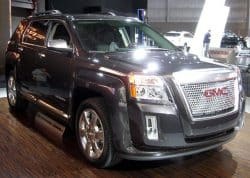 Our Car Comparison Guide will lay it all out for you – best trucks, best cars, best SUVs, all at a price you can afford.